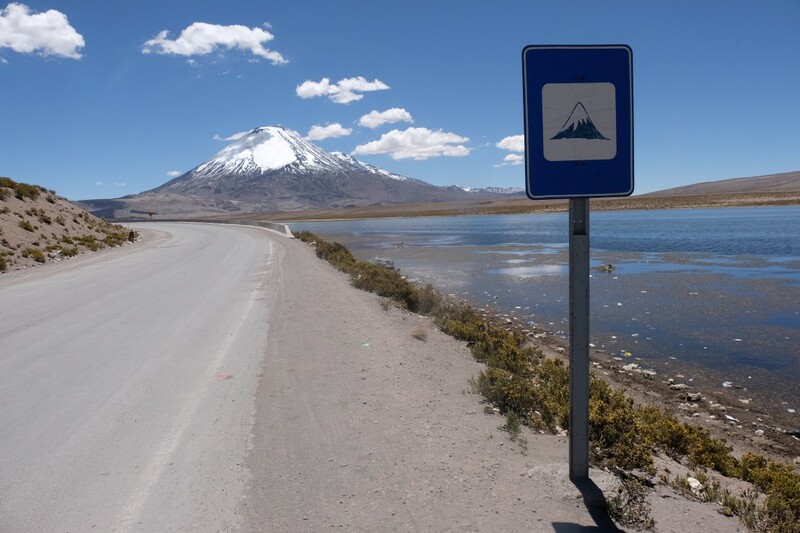 In the morning we had brekky and then jumped in the car of Eduardo and off we were to the Lauca National Park to see the Chungara lake and a few more things. 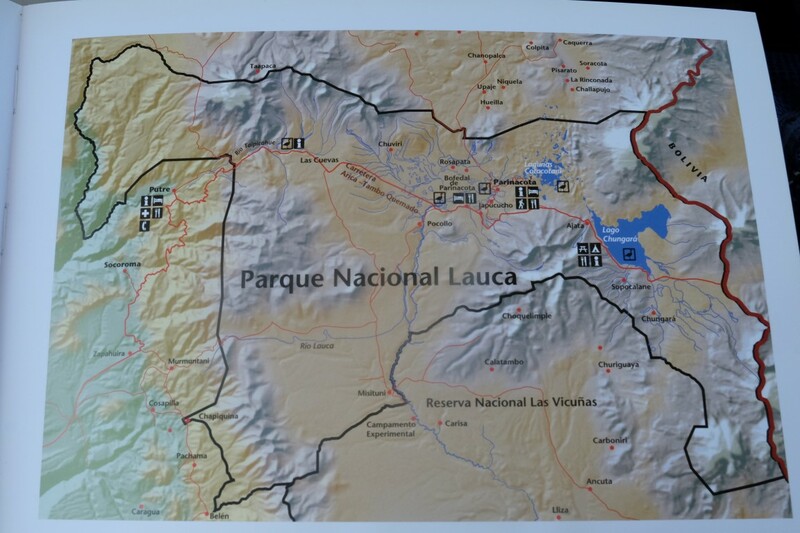 Here is a map of the park. You can see on it also where Socoroma is, next to Putre. Off we are on the road! At the beginning of our drive, there were lots lots of military tanks with guys in uniforms with their face painted all over. 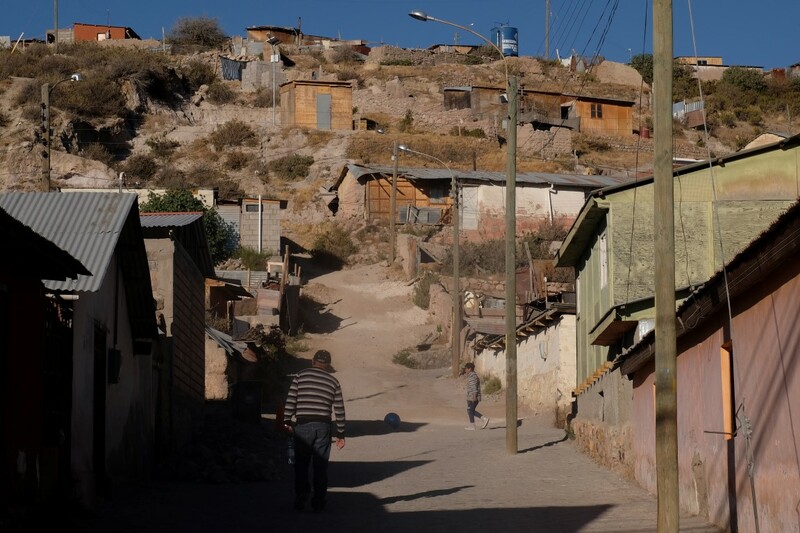 Eduardo explained that the relations between Chile and Bolivia were not always at their best. 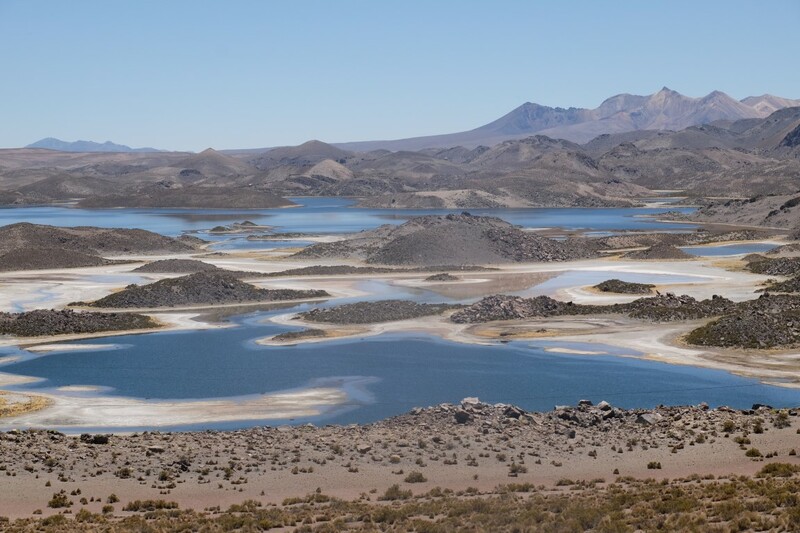 Bolivia actually used to have an access to the sea which they lost and has constantly being claiming it back. 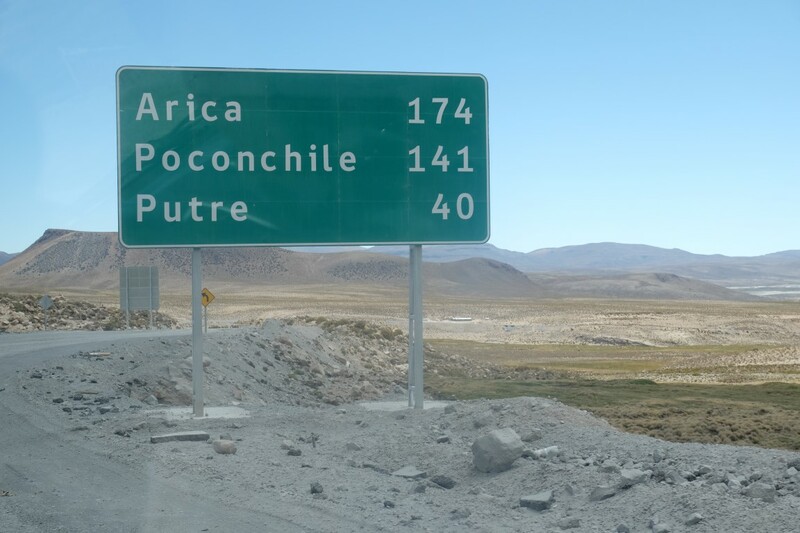 That access to the sea would be the one on the road I was on, towards Arica. 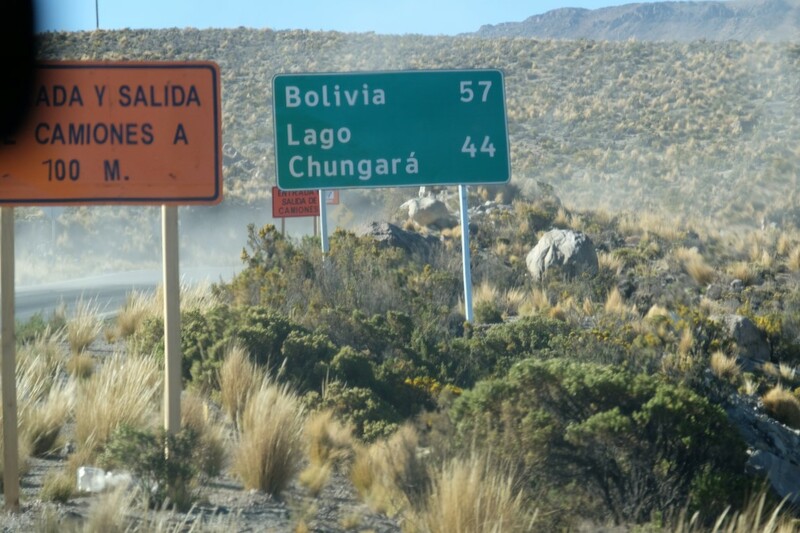 So Chile remains nervous that Bolivia may attack one day to reclaim this access. More about the relations and history between the two countries on Wikipedia here. At some point we stopped and went for a walk. 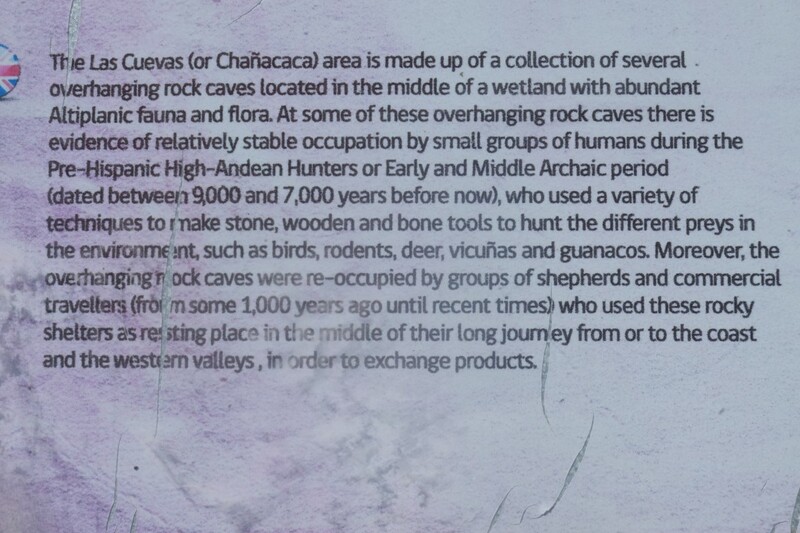 We saw these caves which used to be inhabited hundreds of years ago. 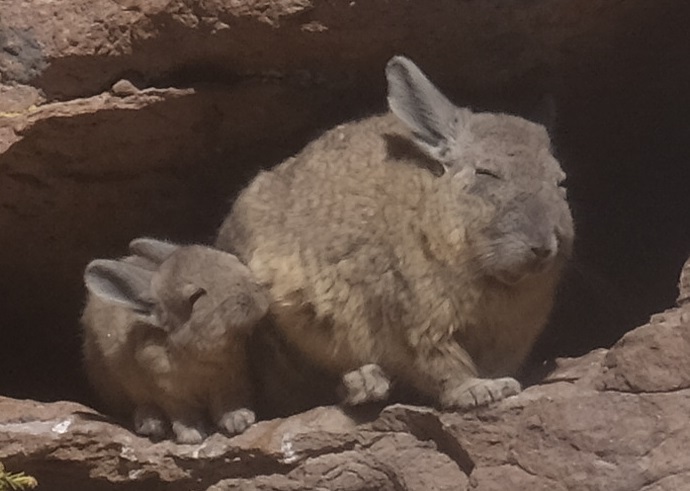 We saw some viscachas, like this mum and baby. 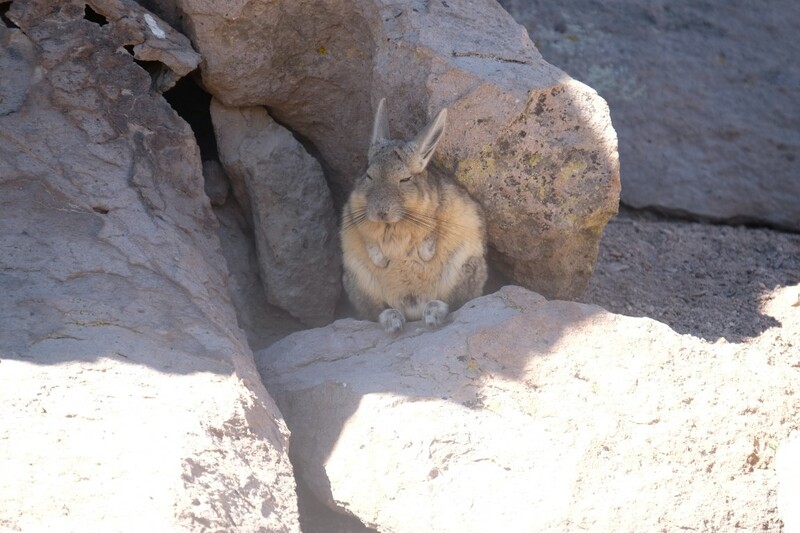 Or this funny one standing on its back legs only. 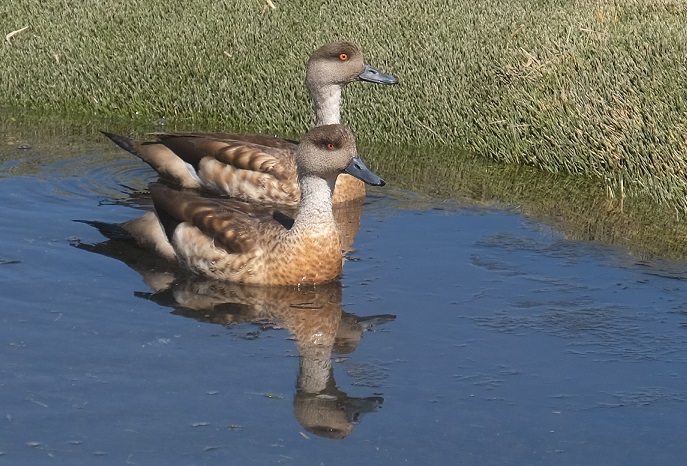 We crossed the road again and continued the walk on a little bridge from which we saw these ducks. We saw our first vicunas. 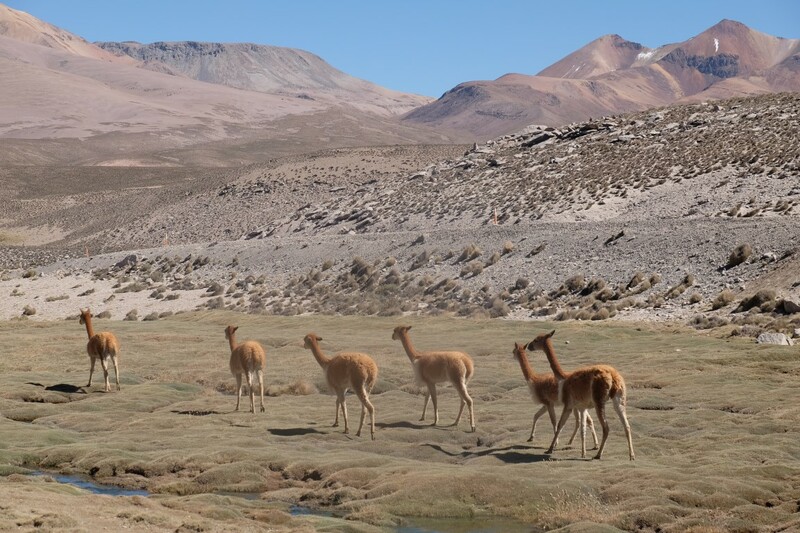 Eduardo explained to us that this group of 4-5 vicunas was a family group with one male and a few females. 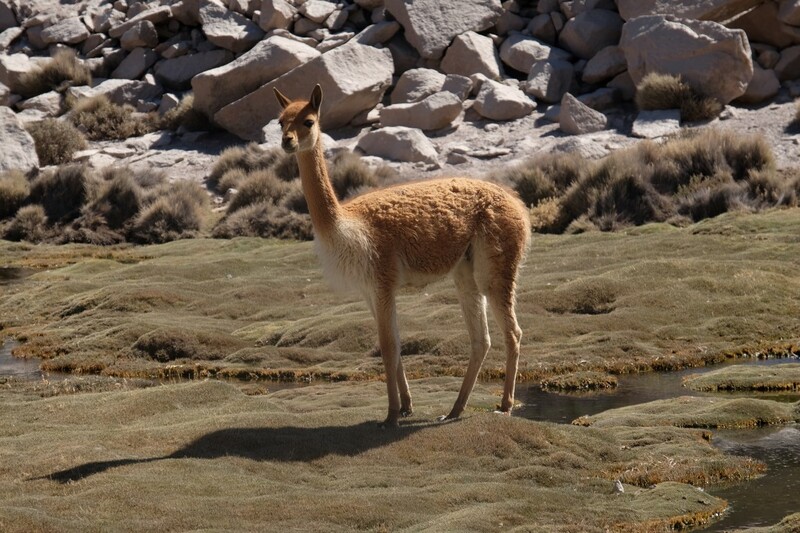 When we see a vicuna alone, it is usually a lonely old male. 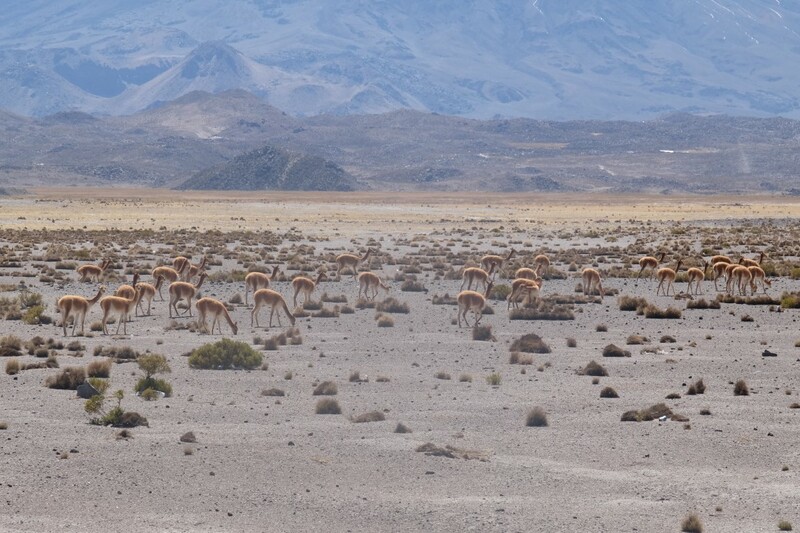 When we see a group of 30 vicunas, it is usually a group of young males only. Very cute animal. 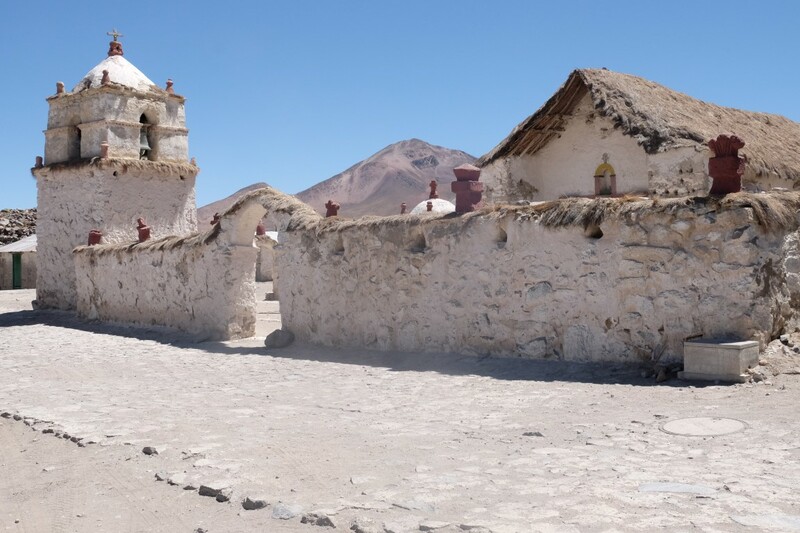 Vicunas used to be hunted and eaten but it is a protected animal in Chile since 1940. 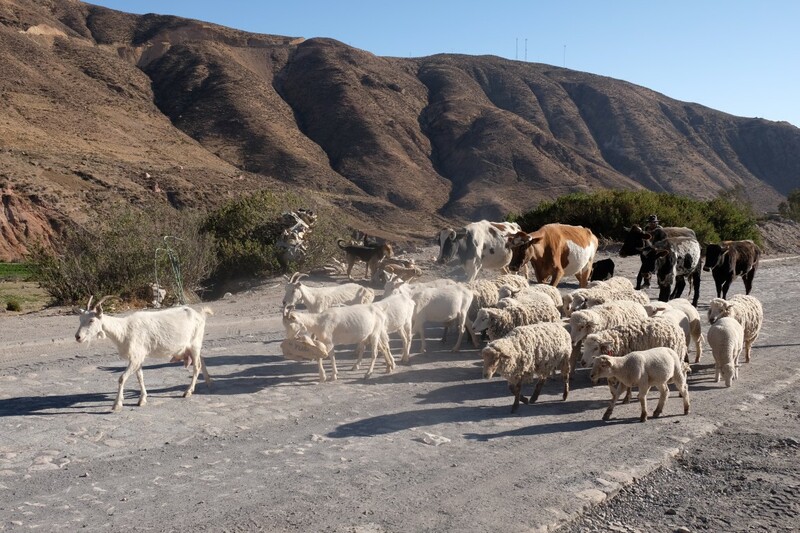 It is forbidden in Chile to use their wool because they live in a colder climate than Peru. 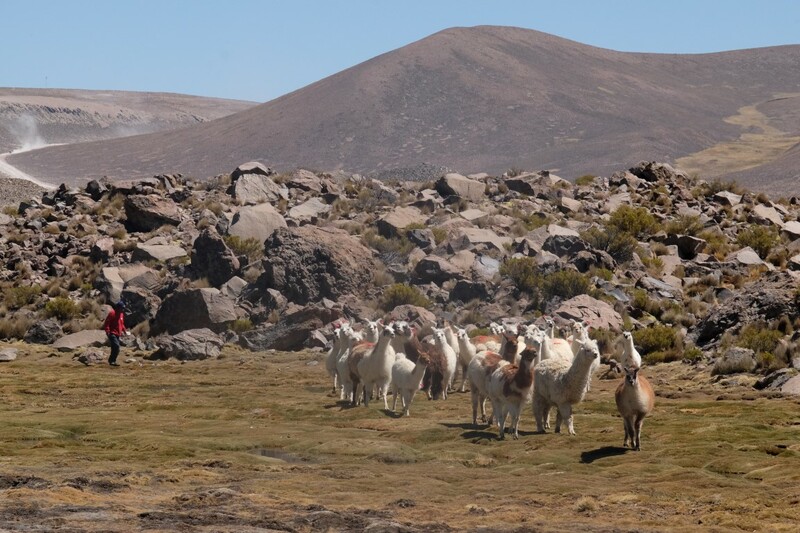 Vicuna wool is one of the most expensive in the world because it is of a really high quality as it is really thin. 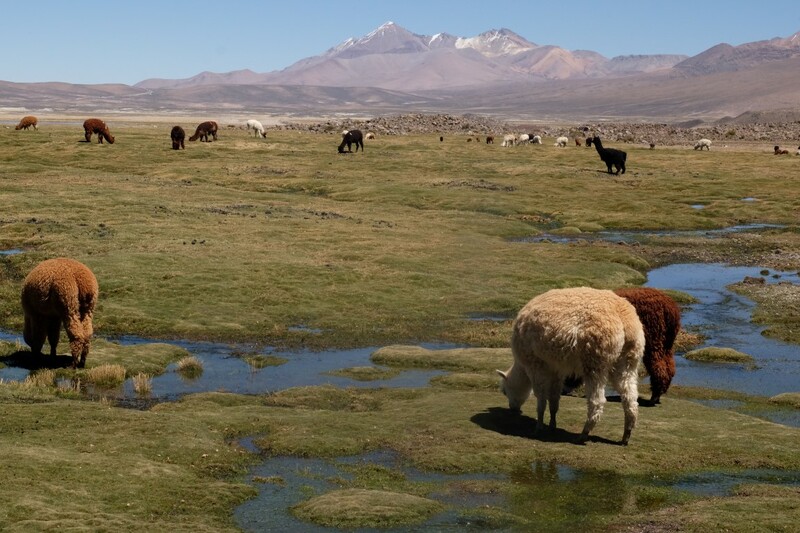 Peru sells clothes made if vicuna wool. 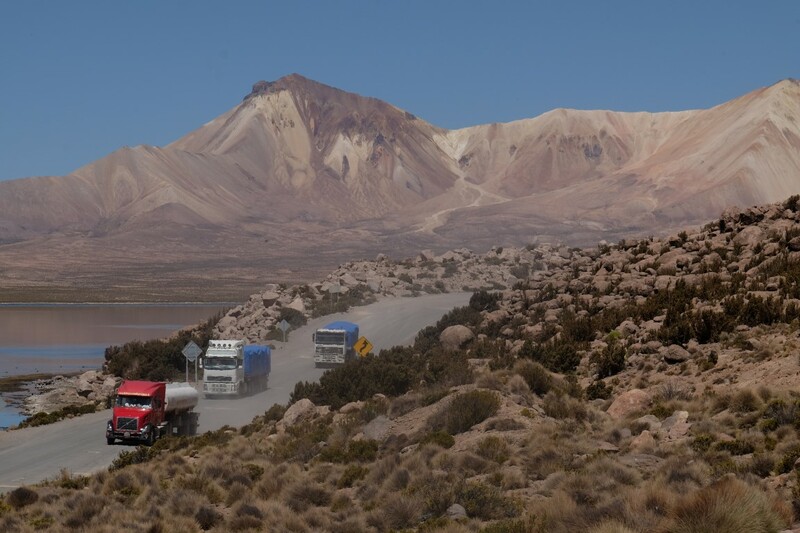 We hit the road again, with this beautiful landscape on our left. 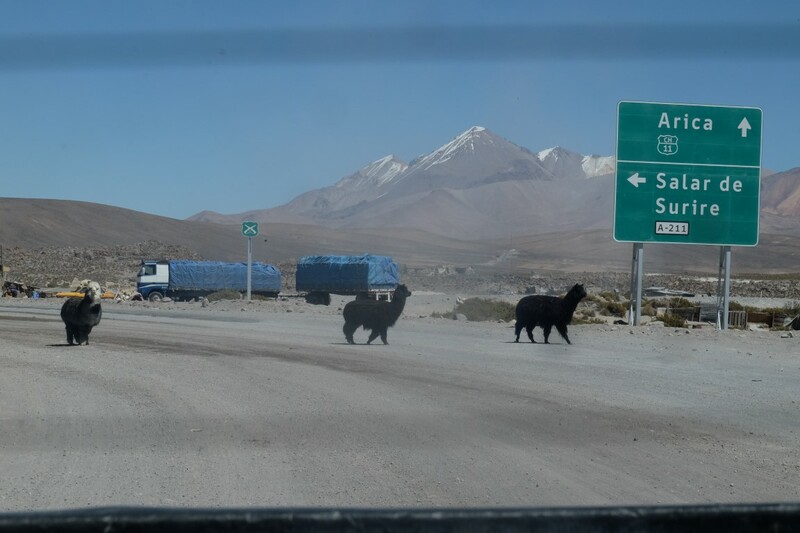 Then Eduardo stopped the car and whistled and suddenly 3 llamas arrived. I actually already knew about those llamas as Patrick had told me about them and his girlfriend Anne had written about them on their blog here. 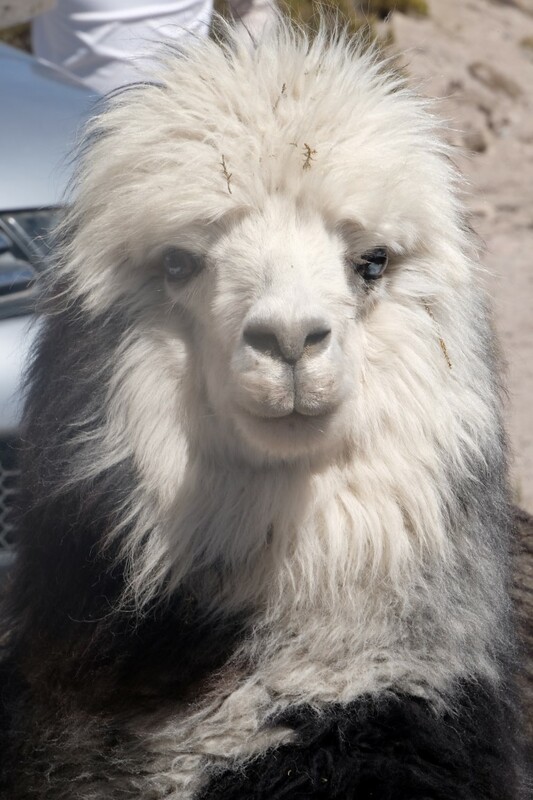 Nevertheless, it was still nice for us to see the same llamas from so close! 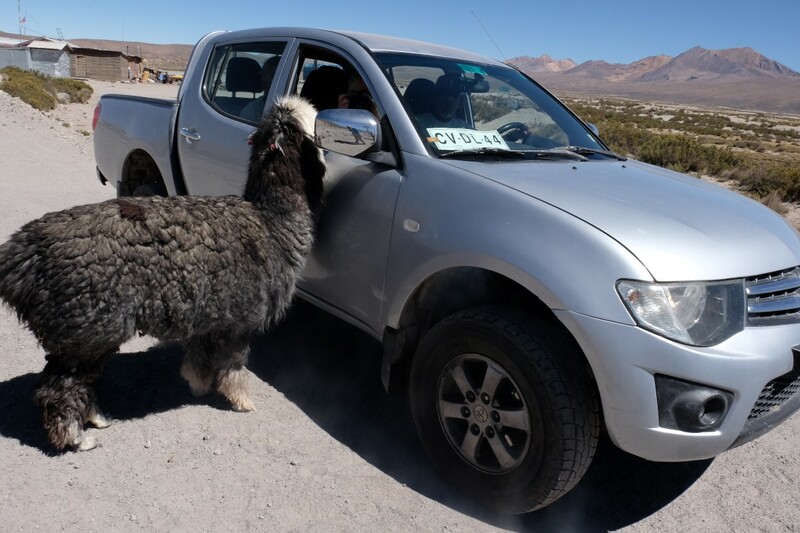 This white llama in particular was really funny, coming to the car to claim more and more biscuits. 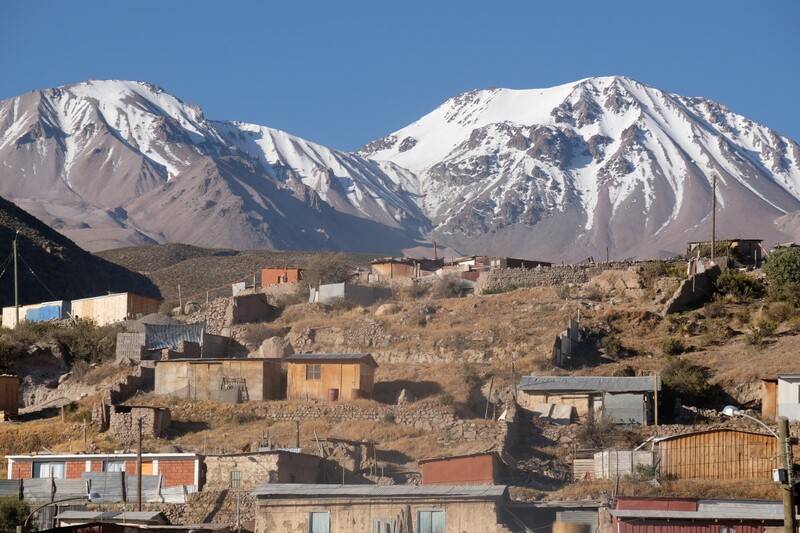 We kept going and headed off to the little village of Parinacota. 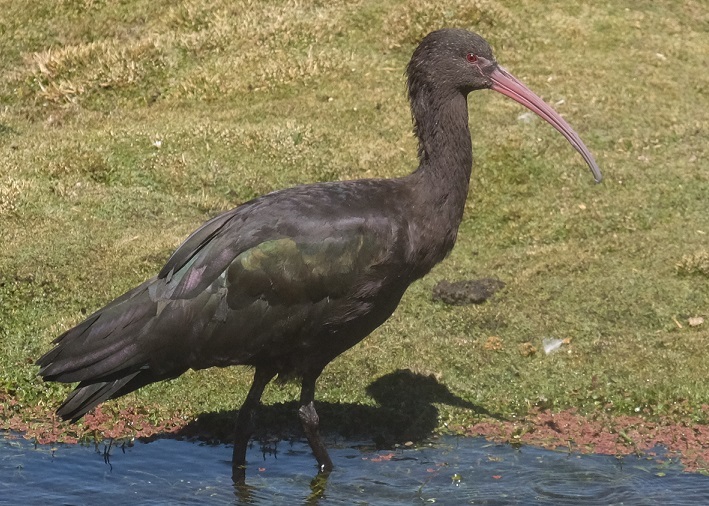 We saw this ibis while on the road towards the village. 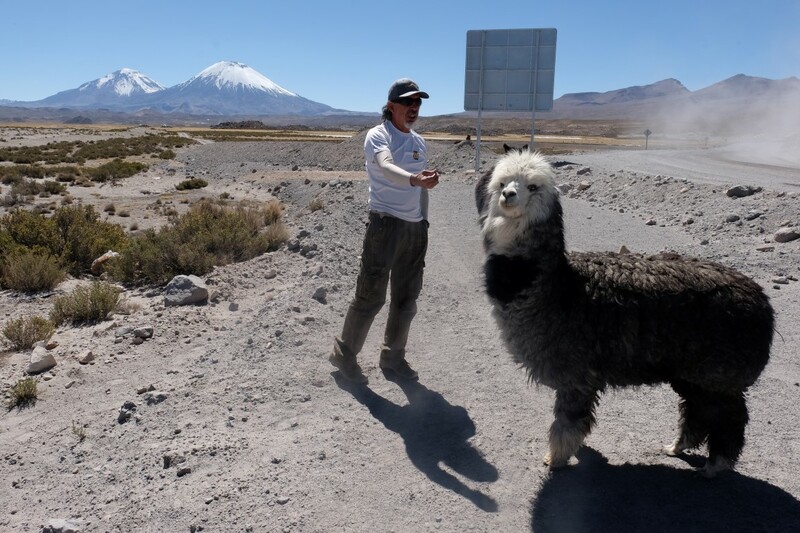 Eduardo dropped us about 500 meters from the village on the road so we could enjoy the view of many birds and llamas. 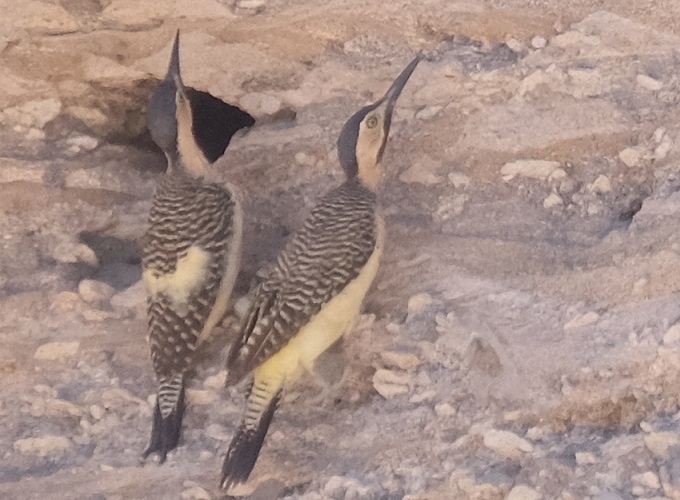 We saw these birds right next to the car when we got off the car. They flew away really quickly! 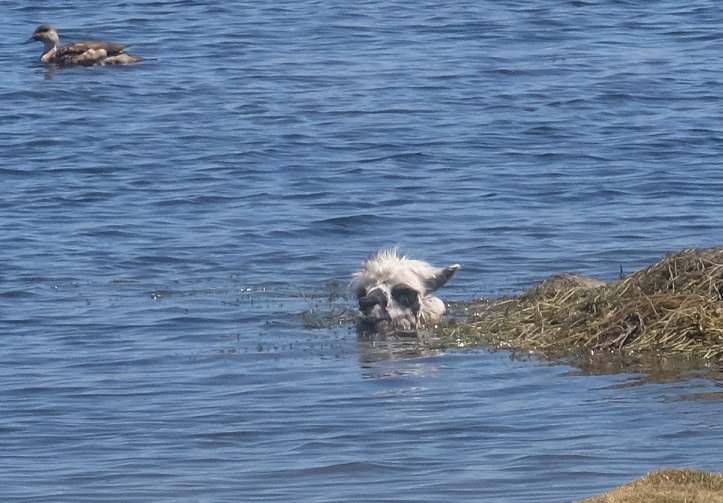 We saw this shepherd and his alpacas. Walked alongside this area full of alpacas. 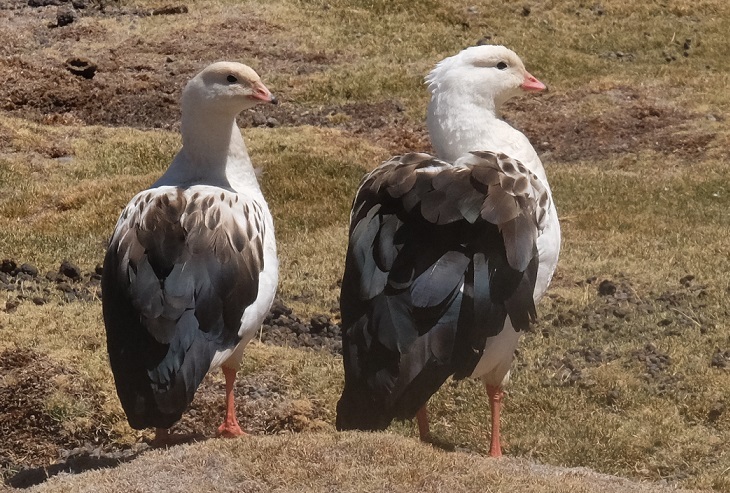 We also saw these Andean gooses. 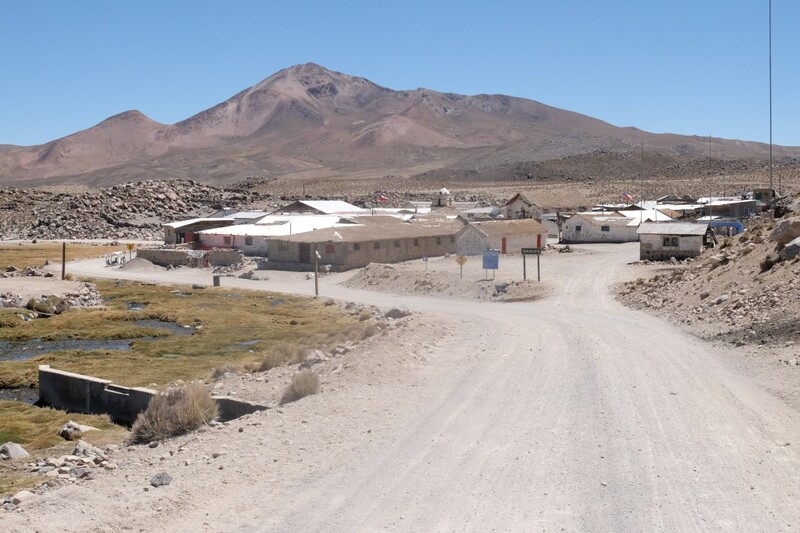 We arrived at the entrance of the village of Parinacota. All churches around here have the church tower separated from the church because they believe that the elements should remain separated, male from female, sun from the moon, light from darkness, and so on, including the church tower, the male element from the church itself, the female element. 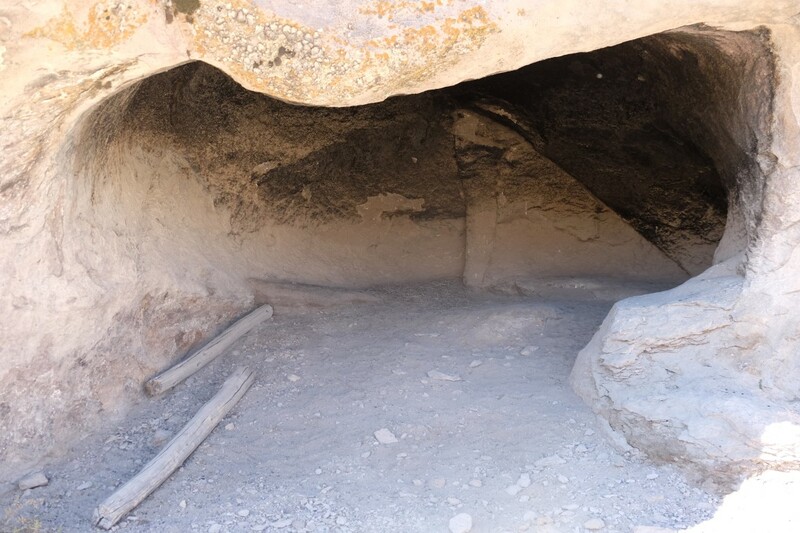 In this village lived only 30-40 inhabitants too and there were only…4 children at school! We were allowed to have a peak in their classroom. 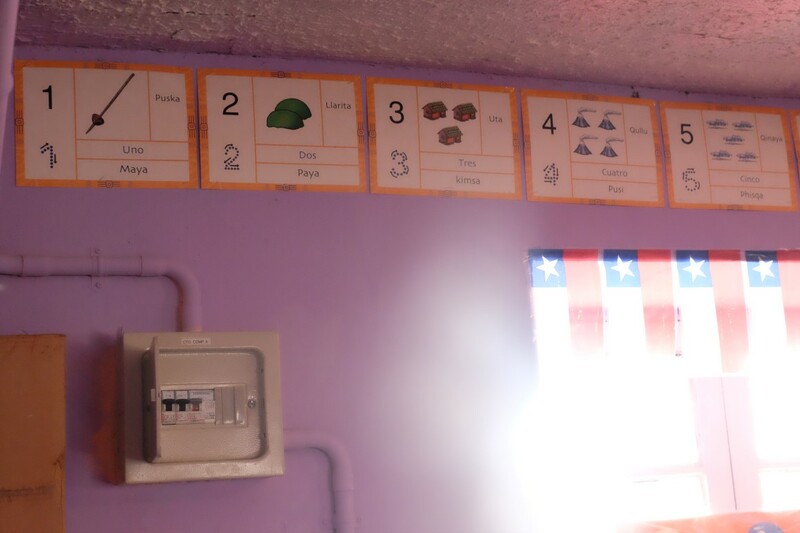 It was interesting to see on the walls of the classroom that the numbers were in Spanish but also in Aymara which is the local ethnical language there in the region. 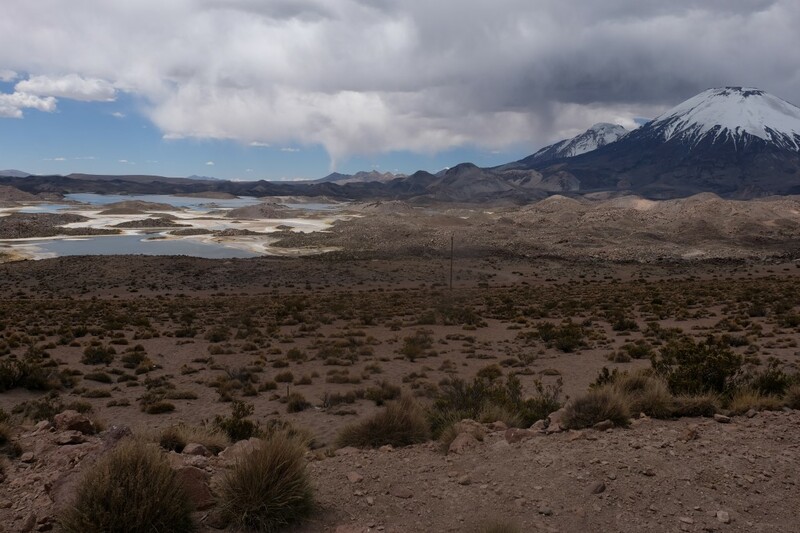 After Parinacota, we passed the Cotacotani lagoons. Eduardo was saying, don`t worry, you will take the picture later, on the way back. I still took that shot at that moment, when there were no clouds yet and the water was of a beautiful blue. 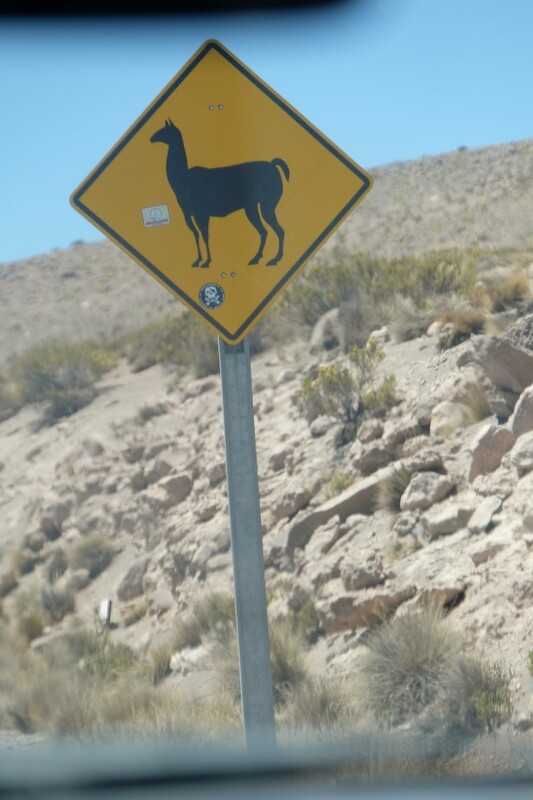 We saw this llama sign. 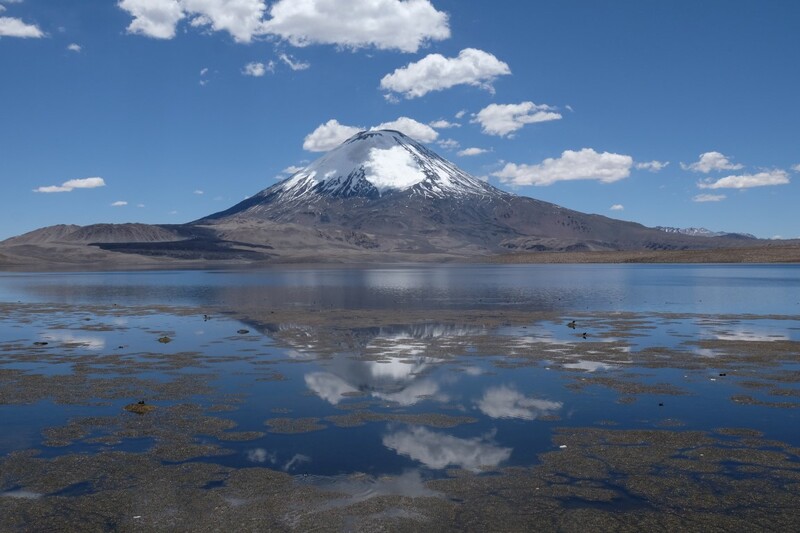 The Chungara lake with the Parinacota volcano in the background. 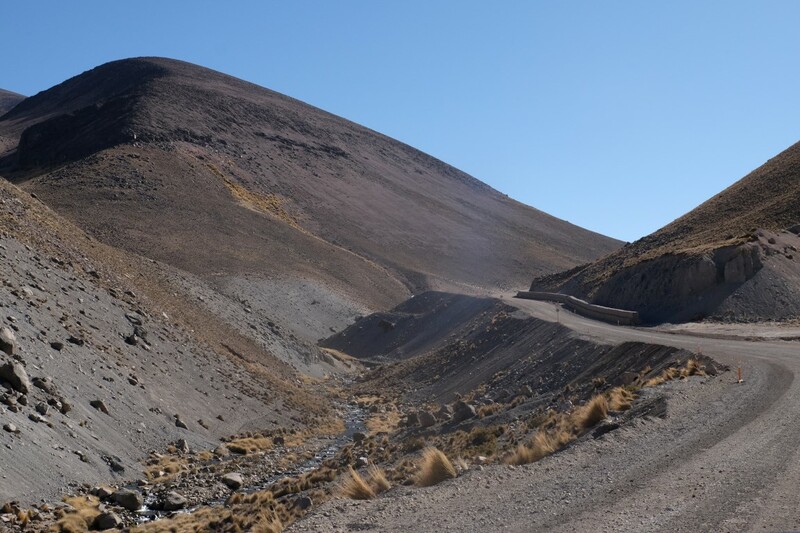 It is a dormant volcano at an altitude of 6,348 meters. 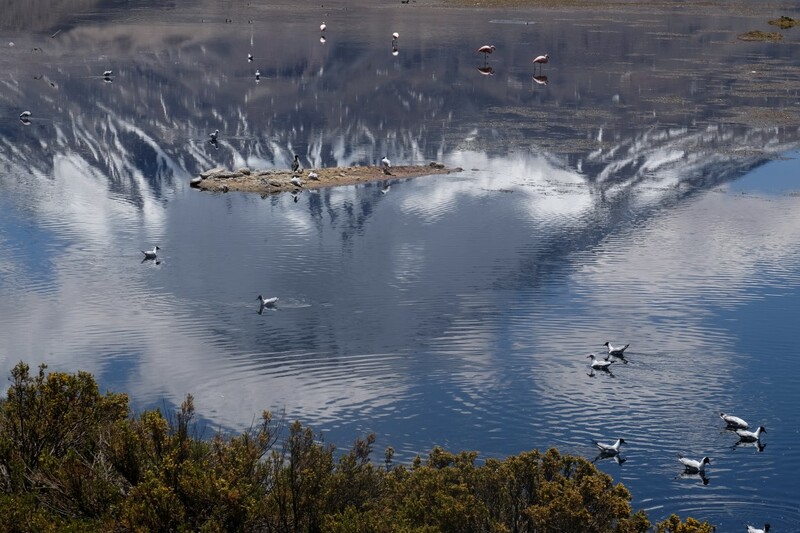 In the Aymara language, parina means flamingo and quta means lake. 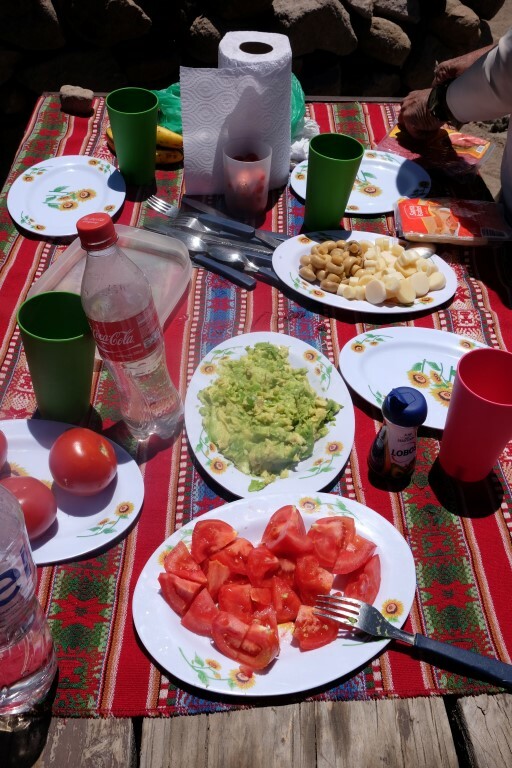 We stopped for a picnic next to the lake. Eduardo had brought lots of nice little things. He made us try this fruit. 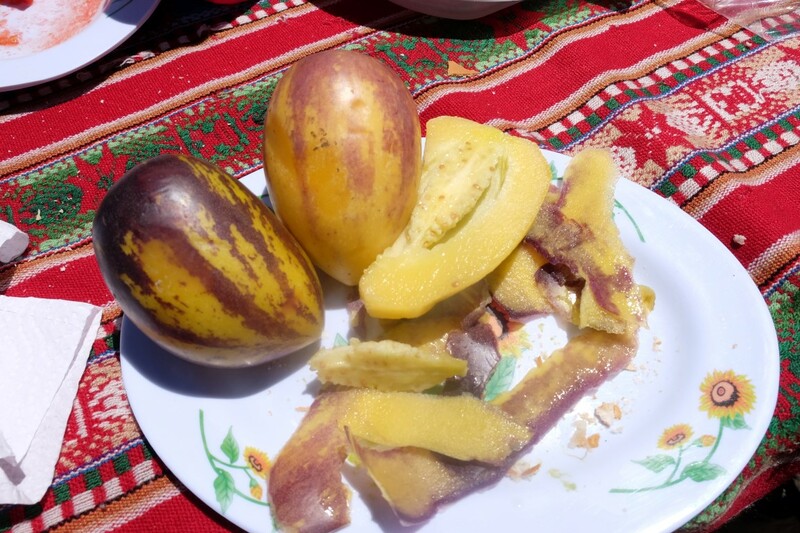 At first, I thought it was like the little fruit we had bought with Anouk in Cusco which tasted like melon but it was actually different, a bit more bitter. This little bird came to say hi while we were eating. We headed back towards Putre and saw these trucks on the road. 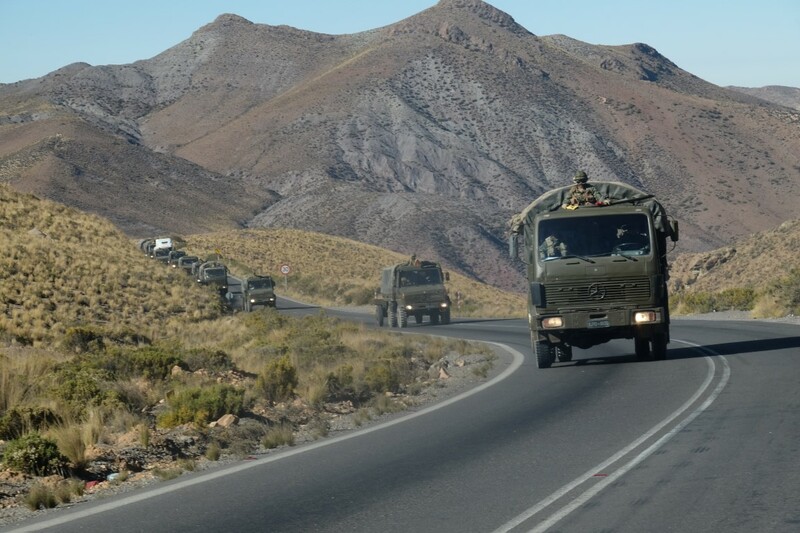 On the road were really mostly the military trucks in the morning and then trucks after trucks after trucks carrying goods or petrol between Chile and Bolivia. Lots of business going on on this road. We saw the Cotacotani lagoons again, but the clouds made the blue look way less nicer than earlier. 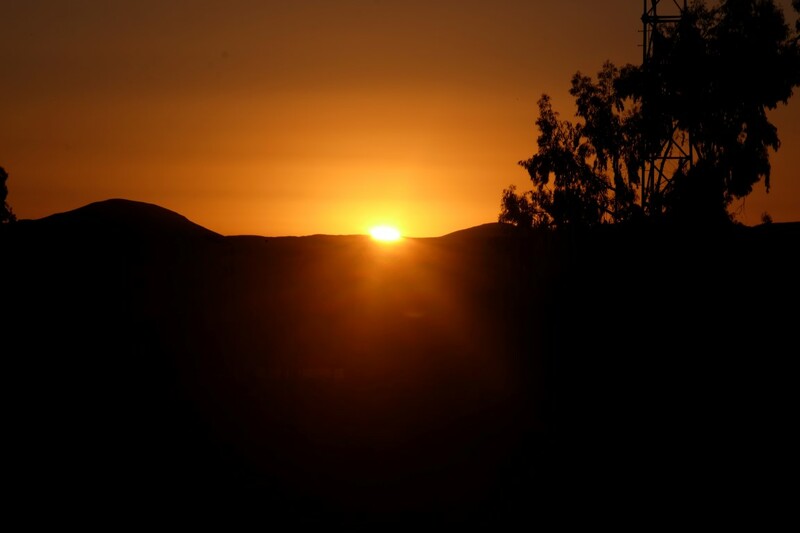 We arrived around 4pm and Melissa I had met in Arica in the Sunny Days hostel was there. She had told me she was heading to Putre on the Monday but we had not talked about hostels. It was cool to see her at the Terrace Lodge too. We hanged around together under the patio, her searching for a WordPress theme to move her blog to it, me preparing some more Iquitos articles at the time. Always lacking behind on this blog ahahah, impossible to maintain up-to-date! After that, we went for a walk in the village. The next day was my dad`s 70th birthday and of course, I had not thought about anything so I was hoping to cruise around Putre and find little gifts to celebrate this on the next morning. First, we saw this shepherd going along sheeps, goats and cows. Quite a diverse herd. Putre is a really pretty little village with the mountains in the background, and very few tourists around, which makes it really enjoyable. I found a bottle of red wine, an Alpaca scarf, a little white alpaca key holder as a memory of the white alpaca we had seen today, some candles and a brownie on which to put them, and also some gift paper! You can find everything in Putre hey. Actually, no, one thing I realised on the previous morning that I was running out of totally was…contact lens product! 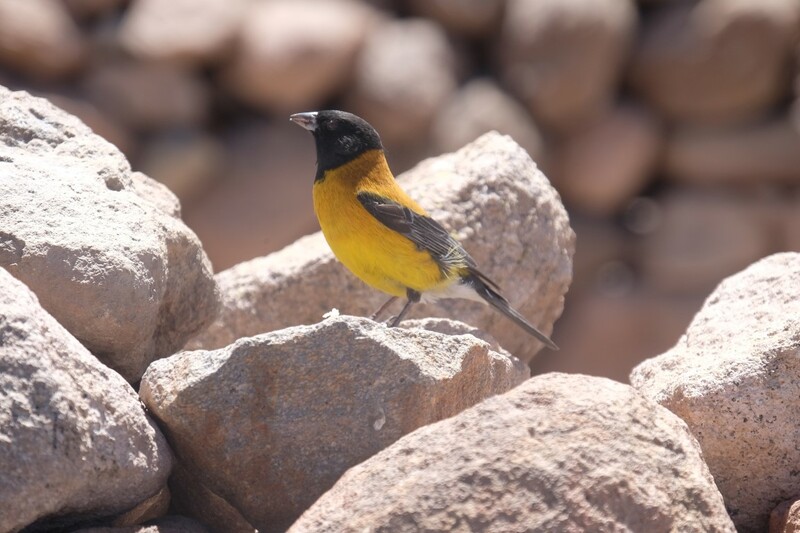 And I could not find that in Putre and knew I would not find that during the next 5 days as we were going to really really remote places. 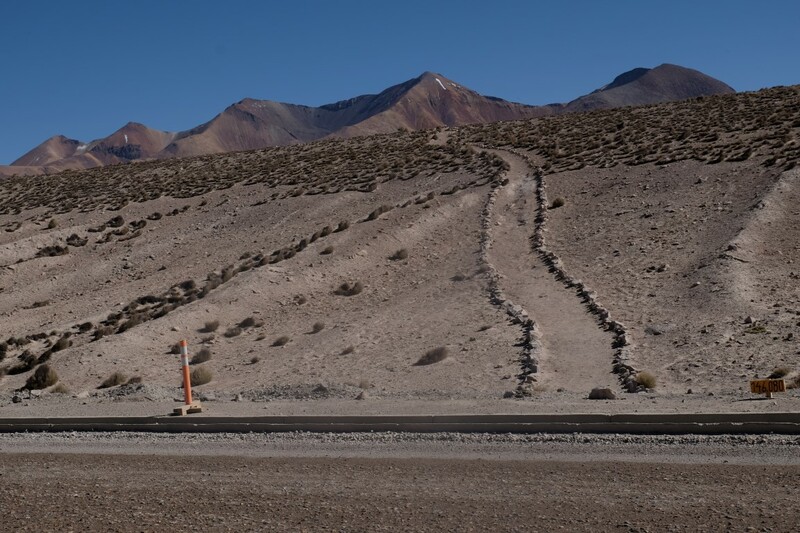 So I had to use the same one for the lenses every single day the next days until we reached San Pedro de Atacama. But you know what? My eyes survived. Phew. 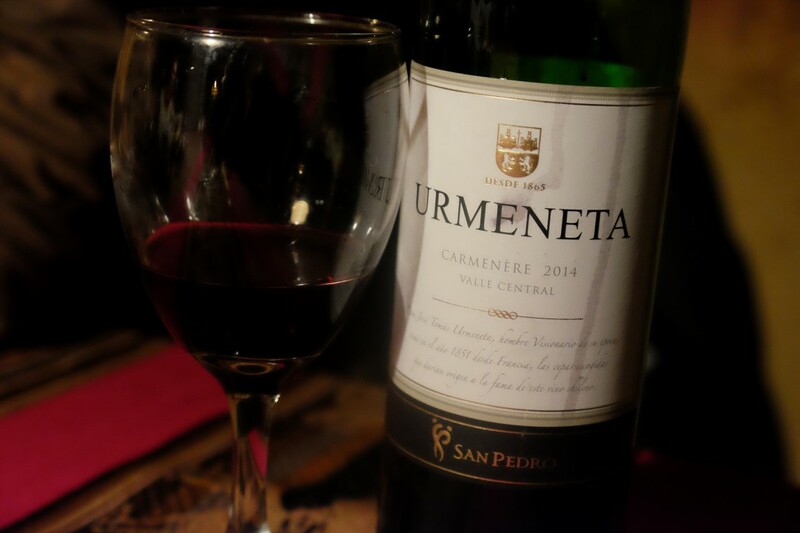 In the evening, we went for dinner with Eduardo, my parents and Melissa and we had a nice bottle of Carmenere wine. Now this cepage has a very very interesting story. Once upon a time, in France, there used to be some Carmenere. 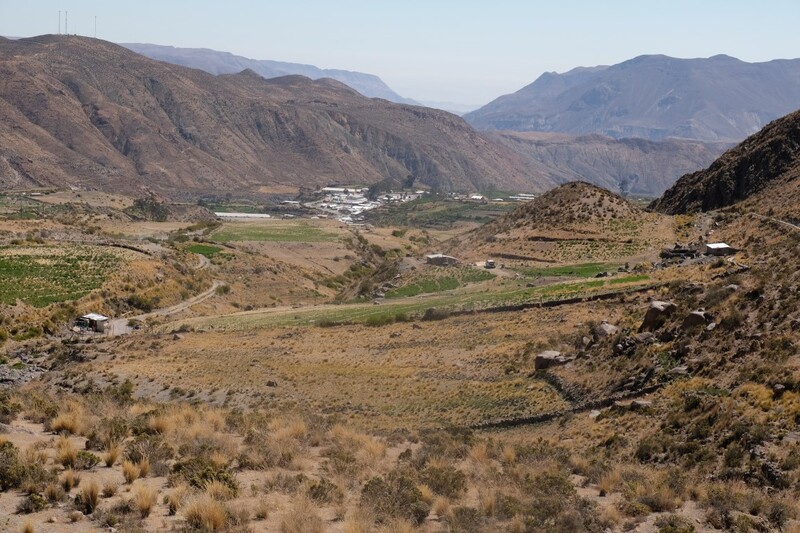 But somehow, with some diseases on the vine crops, it disappeared totally in the thirties forties in France and no one could ever produce Carmenere wine again. Now, the story Eduardo told us goes that in 1995, a French oenologist came to Chile and tried some wine which was supposed to be a Cabernet Sauvignon but he said hold on a minute, it tastes like Carmenere. Can I see the crops, the vines, the leaves? And he went to the field and exclaimed: This is Carmenere!!! There is still some in existence!!! And Carmenere was rediscovered thanks to his palate. 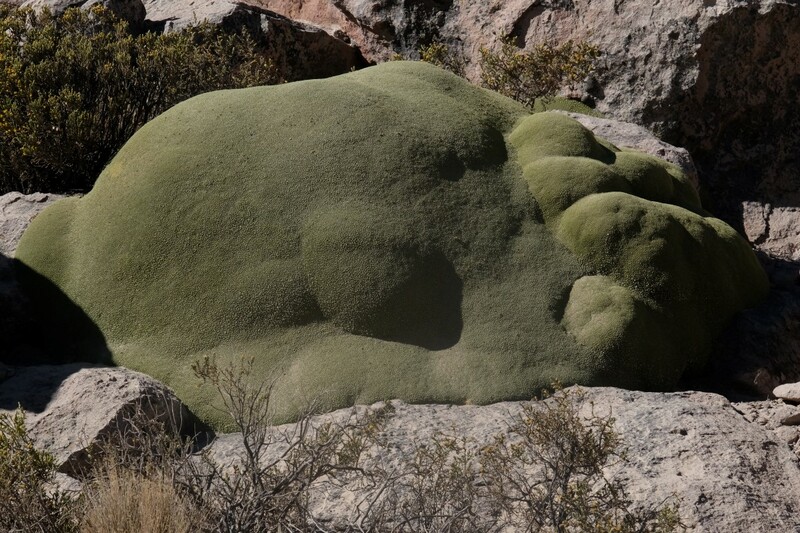 Maybe some French imported it from France to Chile in the thirties before it died out. Awesome story hey? 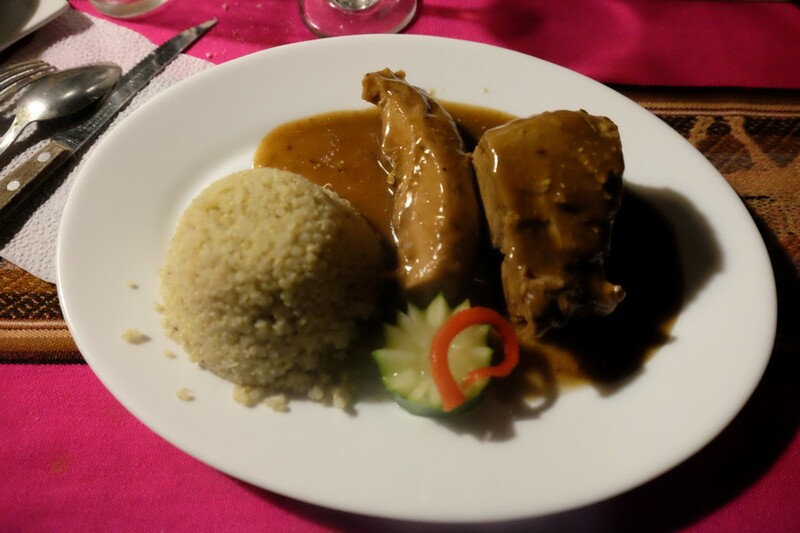 As for me, my palate not being that developed, I honestly didn`t really taste the difference, but I am ok to believe that, surely some people know their stuff!! With Melissa we both had some alpaca meat. After that, we went back to the hostel quite tired and slept. 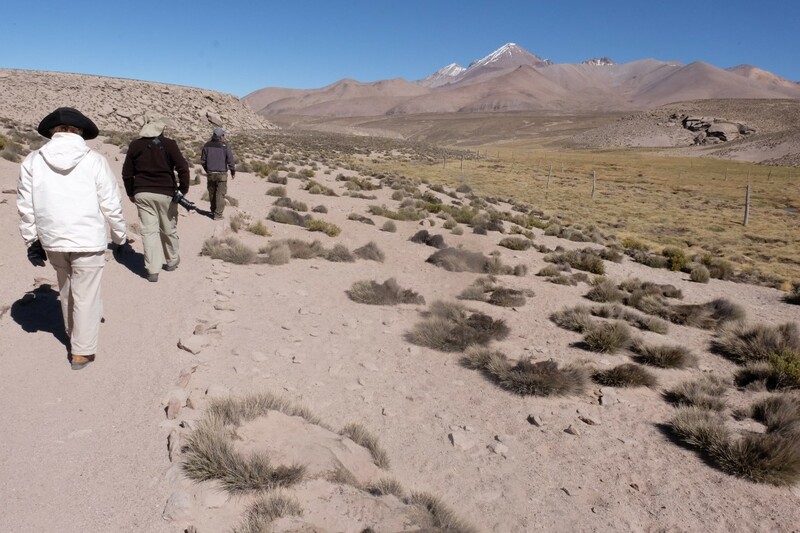 Tomorrow, off to Colchane, at the border with Bolivia through the Salar de Surire!